The Pack have two goalies, eight defensemen, and 14 forwards. Goalies: Marek Mazanec, and Dustin Tokarski. Defense: Chris Bigras, Sean Day, John Gilmour, Libor Hajek, Ryan Lindgren, Rob O’Gara, Brandon Crawley, and Vince Pedrie. Forwards: Lias Andersson, Bobby Butler, Steven Fogarty, Gabriel Fontaine, Tim Gettinger, Ryan Gropp, Peter Holland, Dawson Leedahl, Michael Lindqvist, Ville Meskanen, Shawn O’Donnell, Ty Ronning, Shawn St. Amant, and Cole Schneider. It’s getting better down there for potential future Ranger players with Hajek, Lindgren, blues chippers, Crawley legitimate future roster material, and Day with the physical talent and then some, but needs to fix his mental game. Andersson, Chytil Blue chippers, and possibles in Gettinger, and Fontaine. I hope Day earns that position to. But I would not be suprised to see him in the ECHL. Location: 17 miles from MSG The only way there is going to be production from Gropp is if the Rangers can assign him to the Islanders. 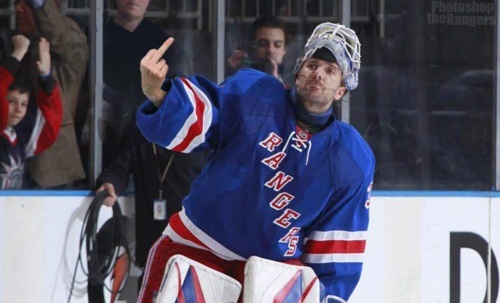 The only way there is going to be production from Gropp is if the Rangers can assign him to the Islanders.